Pinehurst is a relaxing place for families, with a peaceful pine grove setting. It's a touch of the Adirondacks on the St. Lawrence River. 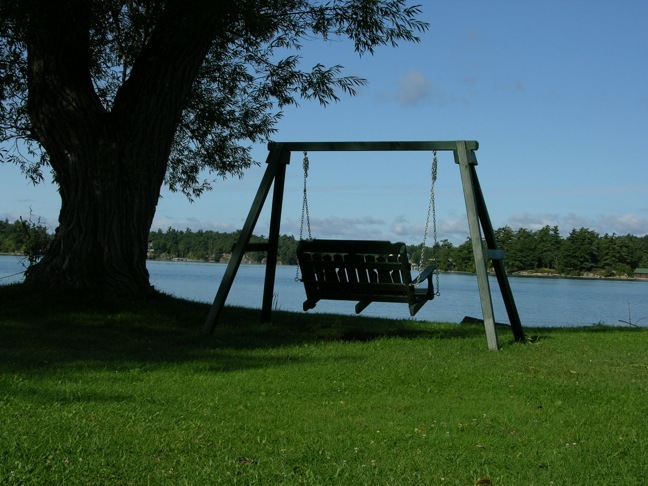 Enjoy our waterfront with swings, Adirondack chairs, a bonfire pit, and a view of the 1000 Islands bridge. We have a pool, playground, horseshoes, volleyball, shuffleboard, fishing from docks, fish cleaning station, launch ramp, rowboats, and dockage all on property. Also enjoy our large grassy fields perfect for baseball, kickball, frisbee, kite flying, etc. We are a perfect home base for all of your 1000 Island tourist activities. Miniature golf, a Go-kart track and arcade are all within walking distance. Fins Eatery and Pub, Ray’s Kountry Kottage and Subway are right next door for breakfast, lunch, and dinner. It’s just 3 miles to the restaurants, shops and tours of the 1000 Islands and Boldt Castle in Alexandria Bay… 7 miles to Clayton’s Antique Boat Museum, shops and restaurants. For upcoming events in the area, use the following links: Alexandria Bay events calendar, Clayton events calendar. 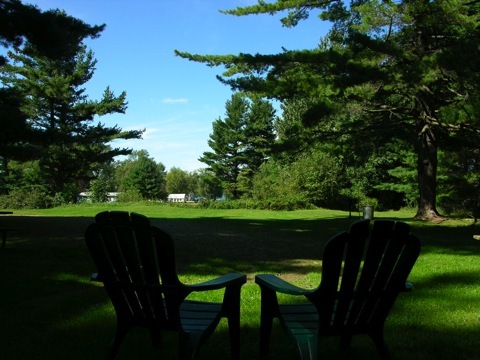 Bob and Betty Lou are eager to carry on the Vrooman family tradition of providing you with an enjoyable place for your vacation. Be sure to stop by and see all that we offer. 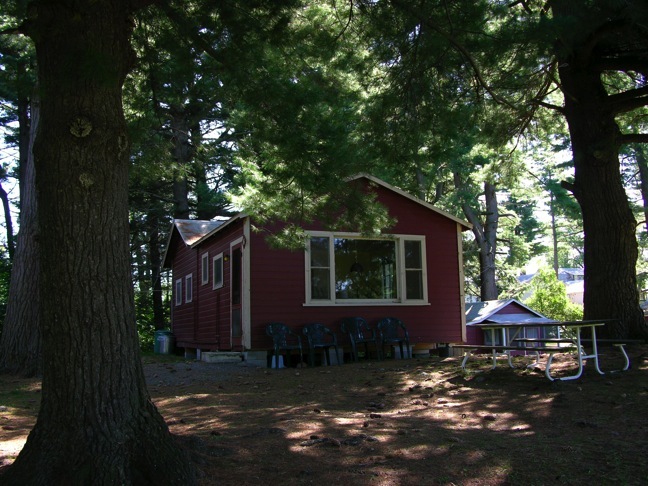 We are one of the few fishing camps left in Alexandria Bay and we are nestled in a pine grove secluded from the hustle and bustle of Rt 12. Please call or email us for more information. For more information or reservations, call us at (315) 482-9452, use our Contact Page, or see us on Facebook!